Welcome to stop smoking hypnotherapy Sydney. As a smoker of cigarettes, do you do it for some or all of the following reasons? Many smokers often feel that their cigarettes are like a best friend. Whatever your reason for staying a cigarette smoker these positive associations are the things that may keep you hooked on cigarettes. 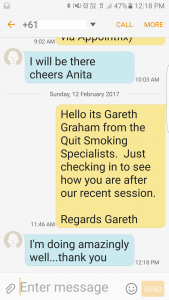 At the Quit Smoking Experts Sydney we understand these reasons and help you to release your attachment to them. In the past you may have been able to give up for a while and felt great, but then something happened that caused you to go back to the old habit again. When a non cigarette smoker sees a cigarette they just see the consequences of the habit, they cannot connect to any pleasure. Everything about smoking nicotine screams danger to them. With hypnosis we can help you make the change to being a non-smoker. What Makes Us Different From Other Hypnotherapists? 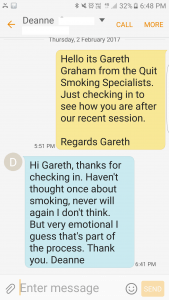 The reality is that not all hypnotherapy is the same…Our Stop Smoking sessions are NOT the same as another hypnotherapists. 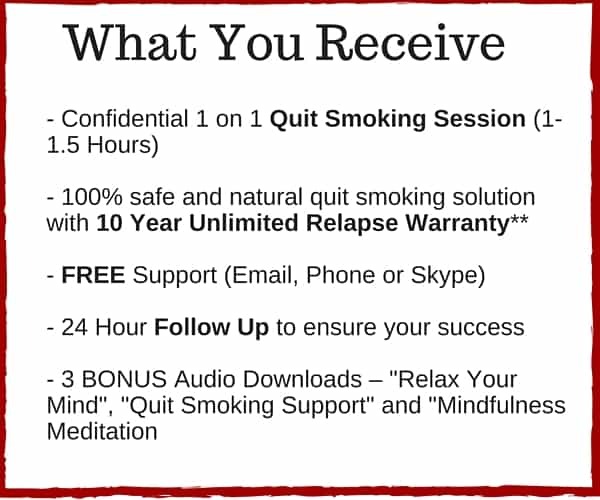 At Quit Smoking Hypnosis Experts we take a fully comprehensive approach to helping you to stop. We know the triggers, the drivers and how to help to eliminate them. We back our solution and your satisfaction 100% by offering an unlimited 10 year relapse warranty**. 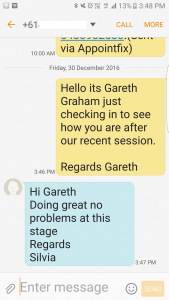 This means that if at any time after your session your are struggling, then you can drop back in for as many non smoker activation sessions as it takes. 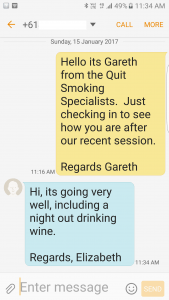 No other Sydney Hypnotherapist is this confident about their stop smoking sessions! 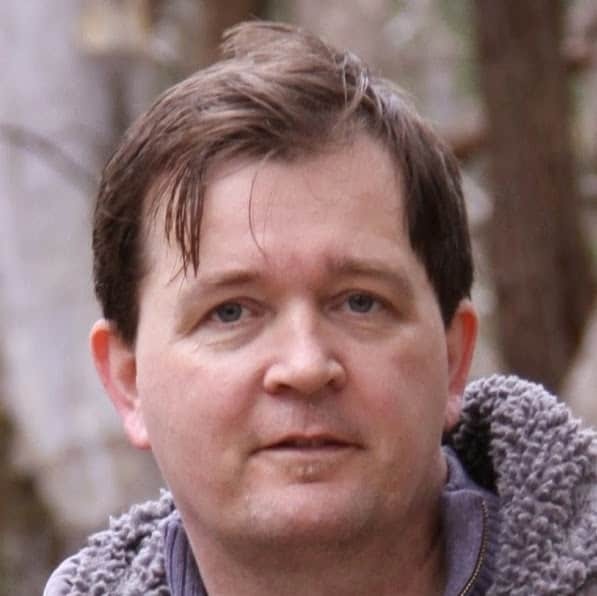 *Please understand that the results described in these testimonials and reviews whilst true, accurate and verifiable represent results that may differ from yours, or even the average result. Your results, if any, will vary and there is always the possibility you will not get the results you are looking for. Mindframe Hypnotherapy is not intended to treat, cure, or prevent any disease or illness. This information is intended for educational purposes only, not as medical advice. Always check with your doctor before changing your diet, eating, health program or attending a hypnosis session. They say that change is hard. But if you try to peel an apple with a wooden spoon then sure it’s hard. If you use a peeler however things are much, much easier. On the outside we are shielded by the thin conscious self. Yet on the inside there is a much greater part. With my personal experience of struggle and my hypnotic abilities I can help you to go much deeper to resolve your issues. A quick personal call with me will help you to be sure that I know what you are experiencing and that I can help. Hypnosis is not magical and mystical. It is not a cure-all. Yet in the right hands it can help you to make rapid changes that you may never have thought were possible. I have seen it with my own eyes and experienced it myself.